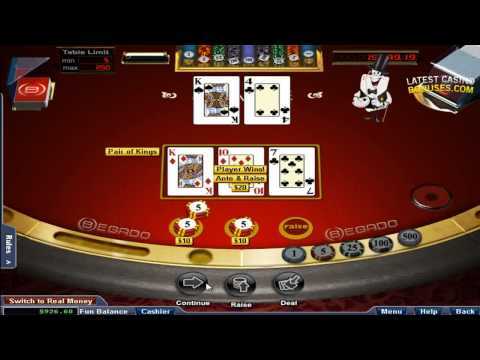 Real Time Gaming is well known for providing US-friendly casinos with software solutions enabling them to host their games, especially since it was the first company to provide online gambling casinos with a secure gaming platform after the US government decided to crack down on Internet casinos back in 2006. Consequently, it should come as no surprise that RTG’s new sister company called NuWorks Gaming powered up a number of top America-facing online casinos since its foundation in 2011. 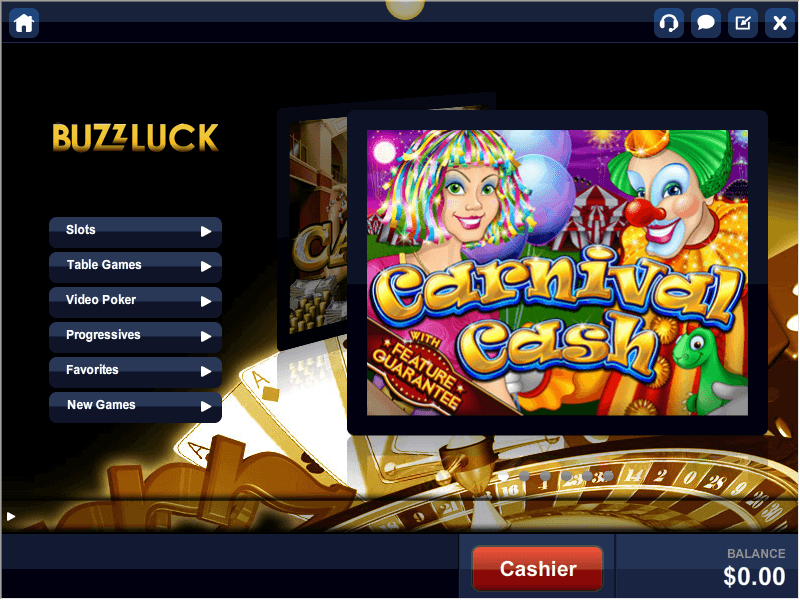 NuWorks software has quickly become famous for the exceptional quality of available games and their neat lobby designs, which should prove to be quite familiar and accessible to the customers of older casinos based on the RTG platform. 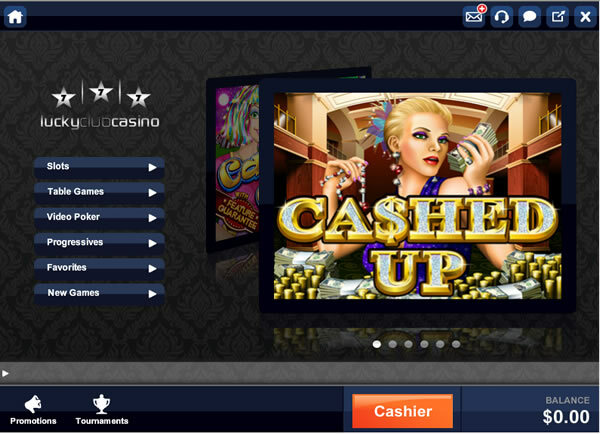 Fortunately, that doesn’t mean that NuWorks-based casinos are simply a rehash of the older products. Instead, it’d be more accurate to say that they expand on a tried and tested formula, as the games, particularly the progressives, that are currently being rolled out from the NuWorks stables tend to come with interesting new themes and innovative features. Aside from various kinds of slots, NuWorks casinos support a wide variety of table games such as Baccarat, Blackjack and Poker. The common features of all those casino games seem to be extremely crisp, high-definition, friendly graphics and fast, adrenaline pumping action which really adds to the overall experience. In terms of security, NuWorks software adheres to the highest standards, making it quite obvious that the developers working in the new company have learned from some of the mistakes made by RTG in the past. For starters, the software is certified as fair and random by Technical Systems Testing, or TST – so there’s no reason to fear that games are stacked too heavily in the casino’s favor. What’s more, NuWorks Gaming is a fully-fledged member of the Interactive Gaming, Gambling and Betting Association as well as the Interactive Gaming Council, and operates some of the best customer support services available in the entire industry right now, maintained and served by the Jackpot Capital Group. All these factors mean that it would be extremely hard to find more credible US-facing casinos than those powered by NuWorks. In order to save you some time and potential confusion, I have prepared a list of the top 3 NuWorks US casinos, which have been carefully selected based on available games, bonuses and banking options. 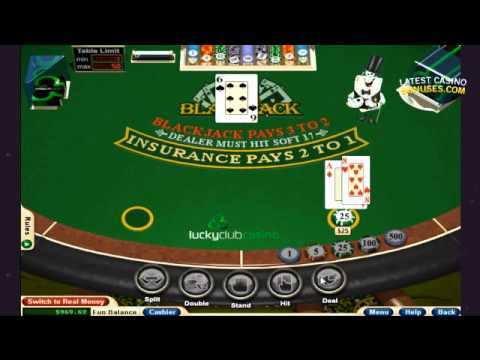 BuzzLuck is one of the first US-friendly online casinos to be powered by NuWorks software, and it has quickly become quite popular with the American audience. 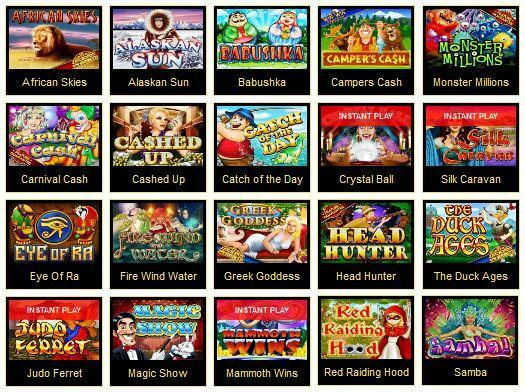 The available games include all the usual NuWorks slots such as African Skies and Persian Queen, as well as five distinct variants of video poker, Baccarat and Blackjack. 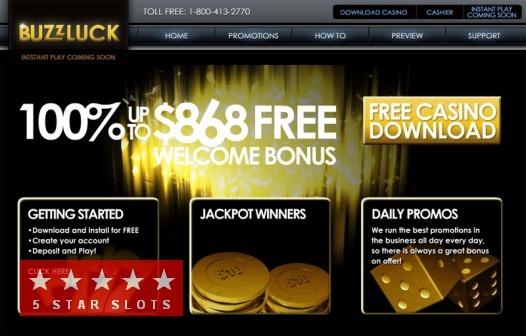 New customers are welcome to take advantage of the casino’s $868 Welcome Bonus, which is a 100% match on your deposit and which can be claimed using the BUZZLUCK coupon code. It’s important to remember that the deposit and the bonus have to be wagered 25 times before making a withdrawal request and that the code can be redeemed on your first payment only. Available banking options include Visa, MasterCard, Instadebit, ECO, Click2Pay, Neteller, and MyPaylinQ for making a deposit and ACH, InstaDebit, Eco, Click2Pay, Neteller, MyPaylinQ and wire transfer or courier check for cash outs. All deposits are processed instantly – the minimum amount is $21 for credit card payments and $20 for all the other available methods, while the maximum is $1,000. Withdrawals are slightly more complicated as they vary in terms of time the casino needs to process them, however the maximum withdrawal per week is $4,000 – if you request a bigger sum, you’ll be paid in weekly installments. Lucky Club is the second of the first-wave NuWorks online casinos that doesn’t have any qualms about accepting American customers. Just like in the case of BuzzLuck, all the popular NuWorks games are available after downloading and installing the client software, so it’s highly unlikely that you’ll ever feel like its library of titles is lacking in variety. 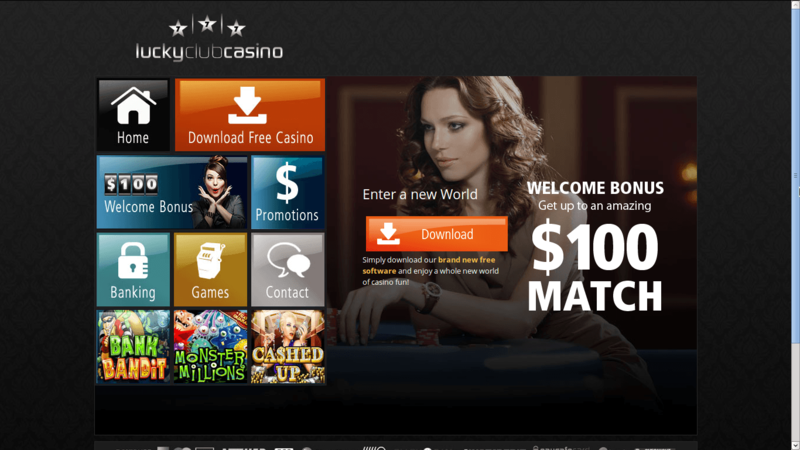 Lucky Club offers a 100% Welcome Bonus of up to $100, which can be claimed by entering the WELCOMEVOUCHER bonus code in the Cashier section of the Casino program before making your first payment. 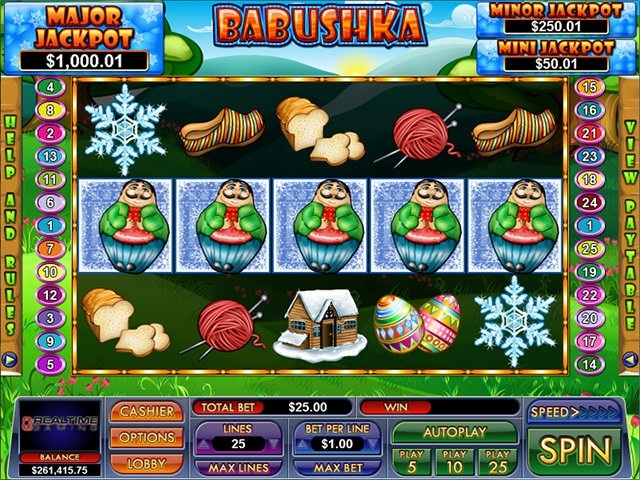 The sum of both the deposit and bonus money has to be wagered 30 times before making a withdrawal, but please take note that only Slots count towards fulfilling this play through requirement. The minimum size of your deposit is $20 and the available banking options include credit cards like Visa, MasterCard and American Express, as well as Neteller, ECO, Click2Pay, Direct Money, Instadebit, MyPaylinQ, PaysafeCard, Ukash and the standard wire transfer. As usual, all deposits methods aside from wire transfer are instant, but withdrawals may take up to 10 business days to be processed. If you want to claim your winnings, you can use wire transfer, Instadebit, Ukash, ECO, Click2Pay, Overnight Express or Neteller. 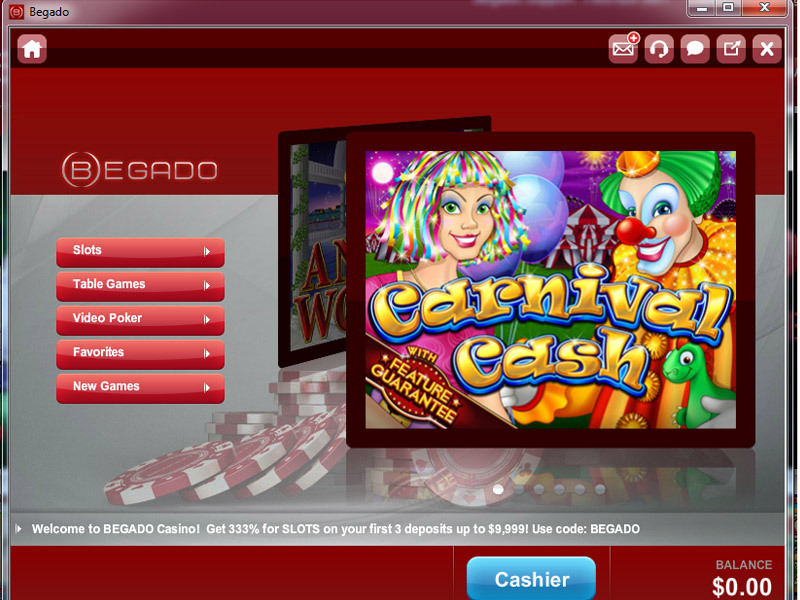 Begado is one of the more recent US-facing NuWorks casinos, but over the past few months it managed to gain recognition for the wide array of quality games it offers, which includes numerous NuWorks slots, as well as five different table games and three cool video poker offerings. 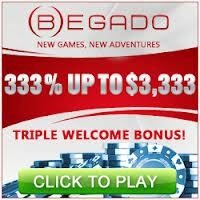 What really makes Begado worthy of your attention though is the extremely generous Welcome Bonus, which is a 333% match on the first three deposits you make and which let’s you claim up to $9,999. Unfortunately, the available banking methods are rather limited; deposits are possible using Visa, MasterCard, UnionPay or Neteller, while withdrawals can be made via a wire transfer or Neteller only. Keep in mind that the casino has to review each cash out request, which can take between 5 and 10 business days. The minimum amount you can withdraw is $100, while the maximum is $3,000. Unlike with the other two casinos listed here, cashing out more than the maximum allowed amount requires you to submit multiple requests, so the entire process might take slightly longer here.